I hope you enjoyed our last post from the German bakery in Hillsborough and that you got to enjoy his baking even more! This week we are jumping across the street from the bakery to the new Italian offering in Hillsborough called Rocco’s Cucina ! Rocco’s opened late November to a warm welcome from the community. 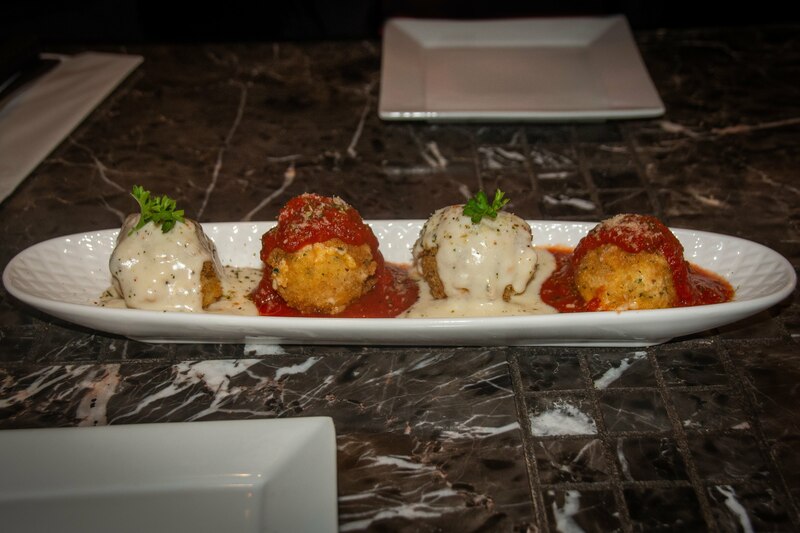 Going to Rocco’s is not only a feast for the taste buds but experiencing Rocco’s enthusiasm and personal service makes your visit even more memorable. Rocco Agostini’s journey started at the mere age of 14 working in the restaurant industry in Toronto where his Italian family had settled. He grew up watching his Italian mama make homemade pasta and fresh food for the family. He went on to culinary school at George Brown in 2000 and became a chef. He dreamed of one day owning his own place. The taste of money and other opportunities soon got Rocco involved with people and things that led him down a path of addiction with cocaine. It’s not sure where Rocco’s life would have headed but God had other plans for Rocco! An encounter with Teen Challenge in Ontario through one of his relatives had Rocco soon on the road to recovery and having his life changed through God’s redemptive grace and the lives of those at Teen Challenge. He continued with his recovery at the Atlantic Men’s Teen Challenge Center working as a cook . It was here in Moncton that he met his future wife Emily, another answer to his prayers! They now have 2 beautiful children who are very supportive of their Dad’s pizza making and culinary skills. I asked Rocco why he chose Hillsborough but he says Hillsborough chose him! Rocco had always had his eye out for a place to set up his own restaurant but it was never the right time. While out for a drive on his motorbike through Albert County in the spring of 2018 he saw the real estate sign on the former Apple Blossom Cafe. After a look inside he felt like this was the place for him to make his mark and open his new business venture. Since he has been open Rocco has been immensely grateful for his customers and word of mouth that have kept him busy since he opened late November. He has felt such support from the Hillsborough community as well as friends and family from the Moncton area. He says they keep learning and tweaking things to get better. Mark and I headed down on Sunday after church on a beautiful sunny winter afternoon to check it out. We were greeted with some colourful menus and cheerful service from Marney the hostess , manager and cook. The first thing we chose were the ricotta fritters for an appetizer. These were fried breaded balls of yummy goodness! Slight crispiness on the outside and melty cheese in the middle smothered in a couple different kinds of sauces. For our main courses we decided to share a couple of Rocco’s main items- a pizza and and a panini. The Prosciutto Di Parma panini was delicious, with sharp and salty bites of prosciutto , brie, arugula, and an olive tapenade. Warm, crisp, melty and yummy. What a great combination! The panini came with salad or soup. Mark chose the Cream of Mushroom- he said it was the best part of the meal. I had 1 bite and I would agree it was a perfect mushroom soup. 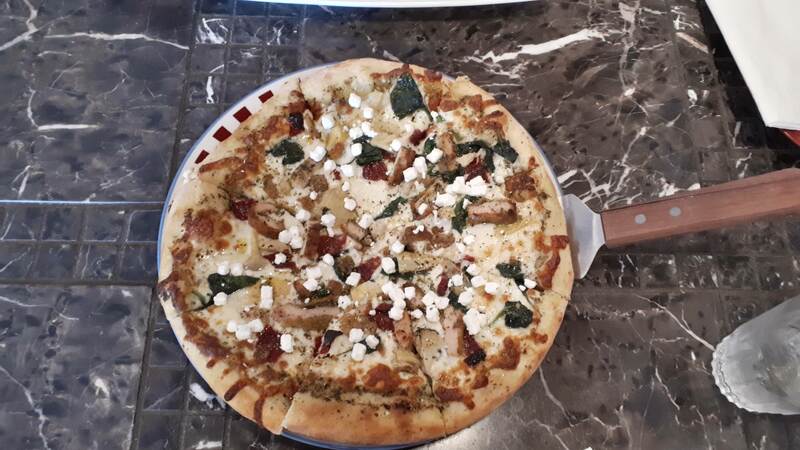 The “Nadia” pizza had some of my favourite combinations- a pesto base, sundried tomatoes, spinach, chicken, feta and mozzarella. It was delicious. A lot of Rocco’s pizzas are named after family members 🙂 While we were waiting for our food, we could hear another customer exclaim ” wow,wow,wow,wow,wow!” and then lots of ” mmmmm” while she was eating. When I asked her after what she was so excited about, she said she had never seen a pizza that looked so good. She was impressed with the amount of cheese, that it wasn’t greasy and she even liked the artichokes that were on it even though she didn’t think she liked artichokes. Nicole definitely gave Rocco’s a big thumbs up! 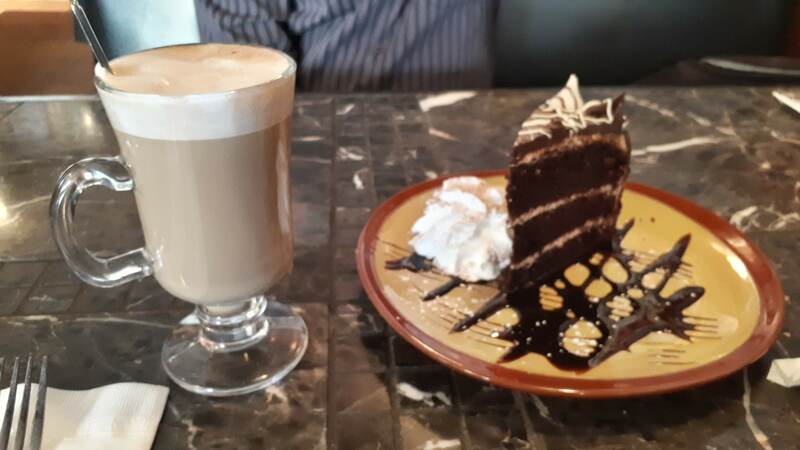 Of course I had to get the whole experience so I headed over to look at the hot drinks and desserts: There was homemade cannoli, tiramisu and a triple chocolate cake with cream cheese buttercream. I’m a chocolate girl at heart so I had to try the chocolate cake and Rocco recommended a Machiatto as my drink. 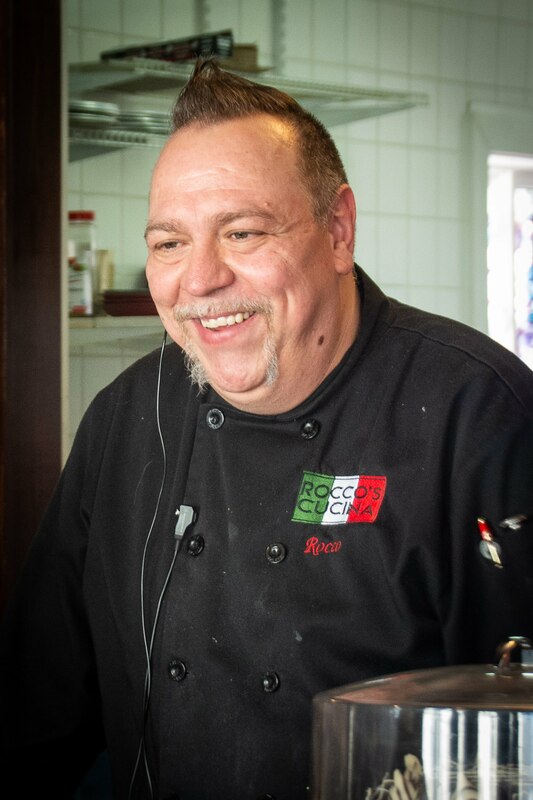 Rocco’s heart is for hospitality and showing people the proof that God’s love can change a person’s life if you give it to Him and be freed from the chains that have held them back. Rocco’s is worth a trip to Hillsborough not only for a little taste of Italy but to hear the Good News of the gospel of Jesus shining his light in Rocco and those around him. The restaurant is open Thursday to Sunday from 11 am – 7 pm. Take out is also offered- just call ahead and it will be ready when you get there! Bravo and many blessings to you and your family on your new adventure! This entry was posted in Albert County, Inspirational, Uncategorized and tagged Albert county, Hillsborough, Italian, restaurant by Sheila. Bookmark the permalink. I would enjoy your posts, but there is no “like” on the posts..??? Thank you Gail. I will look into that. I appreciate your comments!